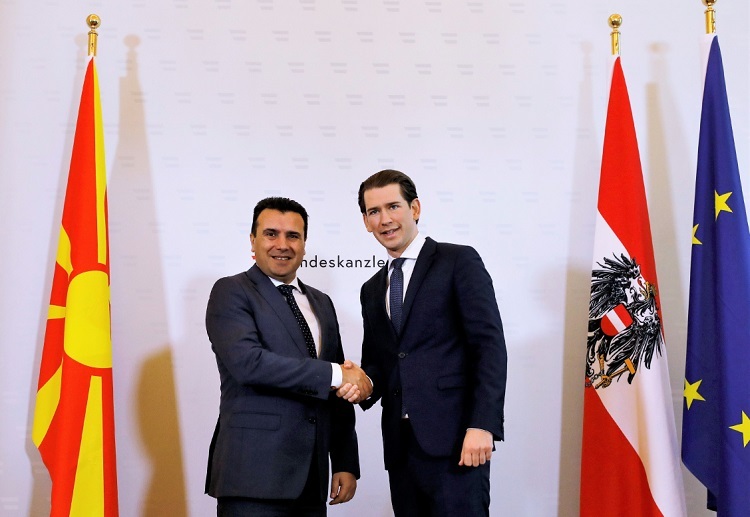 The Macedonia PM Zoran Zaev paid on Wednesday an official visit to Austria, where he met the Austrian Chancellor Sebastian Kurz. 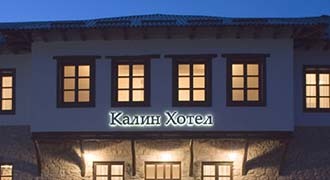 As the Macedonian government reports via a press release, Zaev and Kurz spoke about the recent political events in Macedonia, with Kurz congratulating Zaev on the adoption of the Prespa Agreement. “After 27 years of independence, the Republic of Macedonia will no longer be officially called “Former Yugoslav Republic of Macedonia”, but instead “Republic of North Macedonia”. This is a historic chance for us to create a brighter future and tor remove all obstacles on our way towards integration in NATO and EU,” Zaev told Kurz. The Austrian Chancellor decorated PM Zaev with the “Alois Mock” medal for his achievements in the resolution of the dispute with Greece, and thus securing the peace and stability of the Balkan region.